I'll tell you right off the bat that this is a very personal quilt to me, and it is the first finish I've ever kept for myself. Ever since reading an airline mag article about labyrinths and their meditative purpose, I've been incredibly intrigued by them. 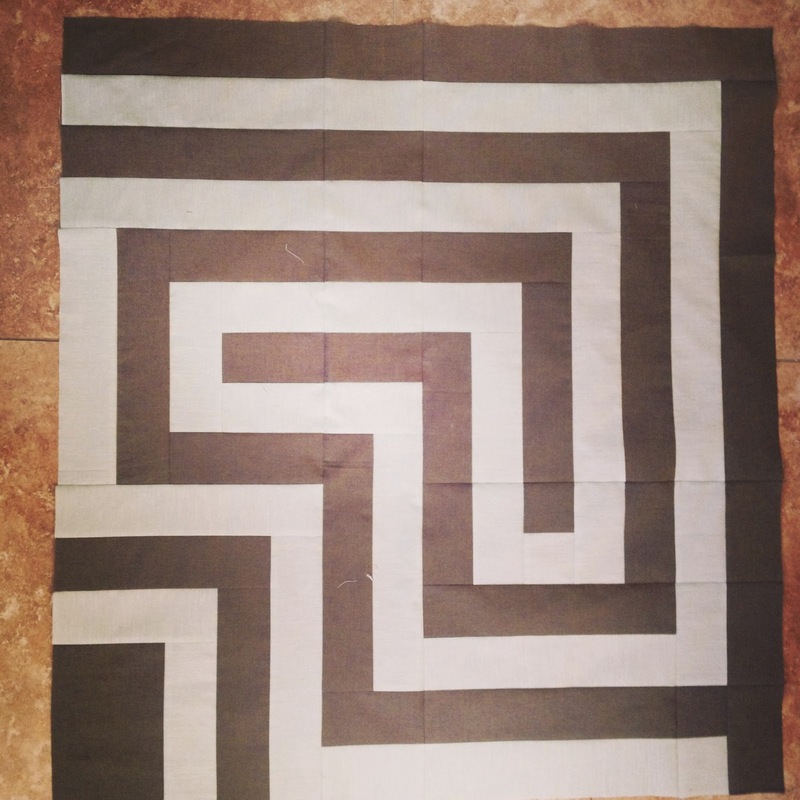 The whole notion of turning a quilt into a labyrinth started fall of 2013. 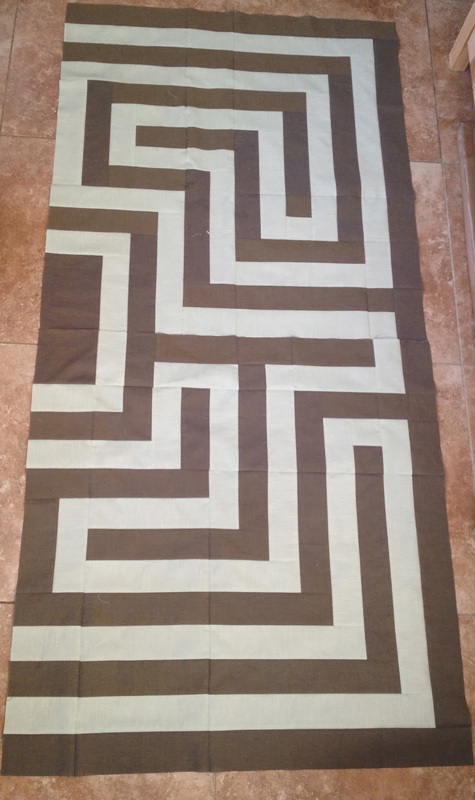 An old college roommate is going to seminary here in VA and she and I got to talking about labyrinths. 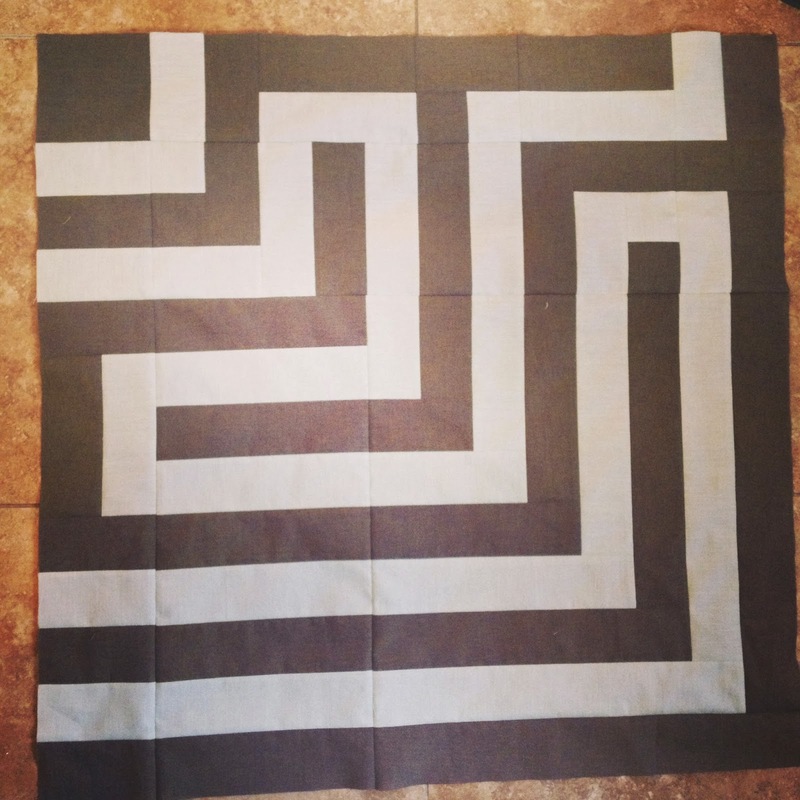 She has a beautiful little cloth that is a hand-held labyrinth, and I thought, "How great would it be to trace your hands across a quilt as you meditate?" I should pause here and say that while prayer has always been a part of my life, it has never been such a part of healing and peace to me as it has been in the past year. Getting married, moving to VA, and finding a job that really seems "perfect" for me came with more challenges than I expected. Literally crippling stress led to headaches that became so severe (right before I sought help) that I nearly got violently ill in front of students on a field trip that I was supposed to be chaperoning…It was a turning point. I've been making a concerted effort to stay calm and trust that God will take care of more things than I often give Him credit for. That, plus an amazing husband, family, and friends has led me to feel an incredible sense of peace during hectic, stressful situations. I've certainly had moments when stress got the better of me, but they are much less frequent, and much more under my control. 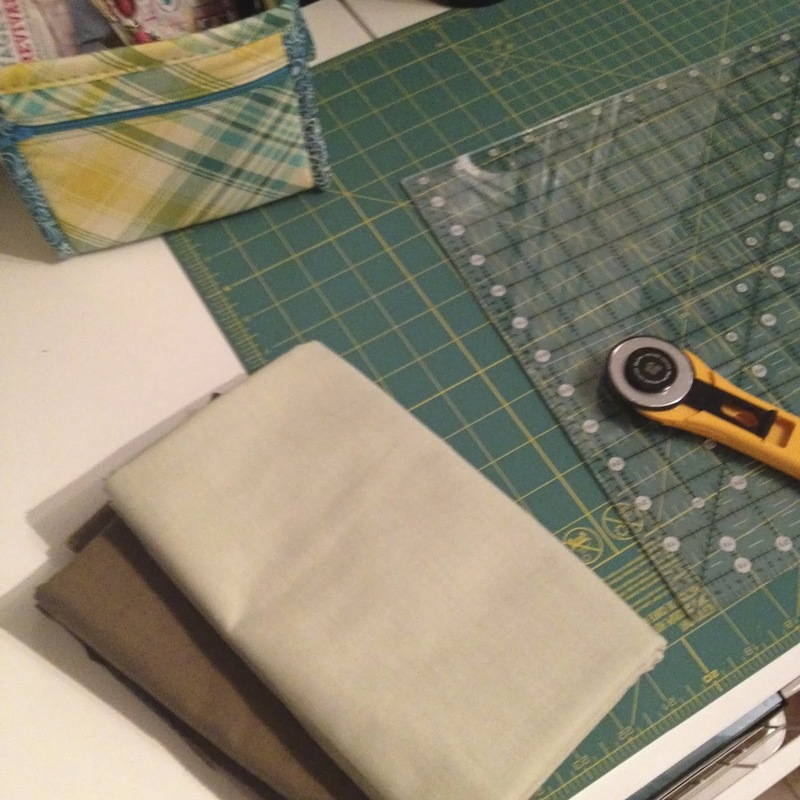 All of these thoughts and hopes went into the quilt…and they are the reason I included various religious symbols. I hope to continue to find happiness and peace where I used to find stress and frustration. And I hope this quilt serves to remind me to take some time to pause, think, and give thanks for the blessings in my life. 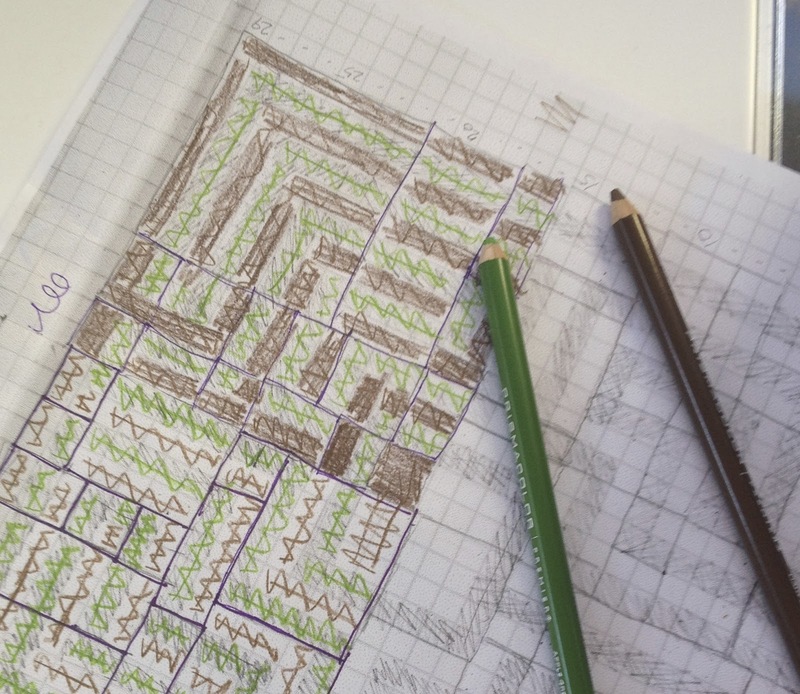 I started the design by drawing out a labyrinth on some graph paper. Since I could only work with two colors, I wanted them to shine. Kaffe Fasset's shot cottons were a no brainer. 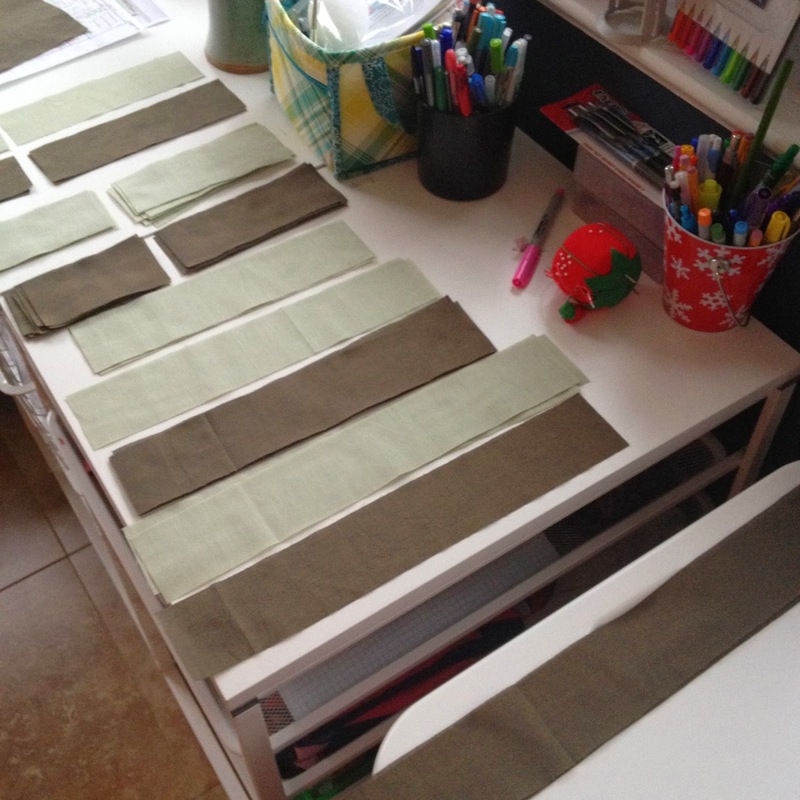 Then I figured out simple blocks that could be strung together using 2.5 inch wide strips of fabric. 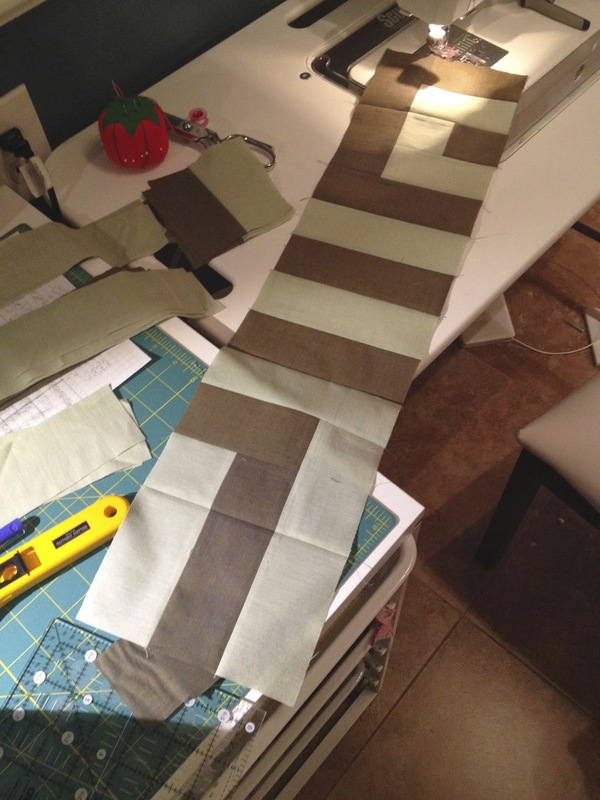 The blocks were sewn into strips and then quarters. Until finally a finished top was born! The label, complete with the Hail Mary in latin…an homage to my faith. Wow, this is a beautiful quilt. This is really beautiful Aubrie. Thanks for sharing your story.The quilt and story together are a great testament of your faith and your creative nature. It is a masterpiece! The story adds so much depth to the finish. I am so glad you found some relief from your difficulties. Thanks for being part of our guild and bringing your inspiration our way!